For more than fifty years, Yi-Fu Tuan has carried the study of humanistic geography—what John K. Wright early in the twentieth century called geosophy, a blending of geography and philosophy―to new heights, offering with each new book a fresh and often unique intellectual introspection into the human condition. 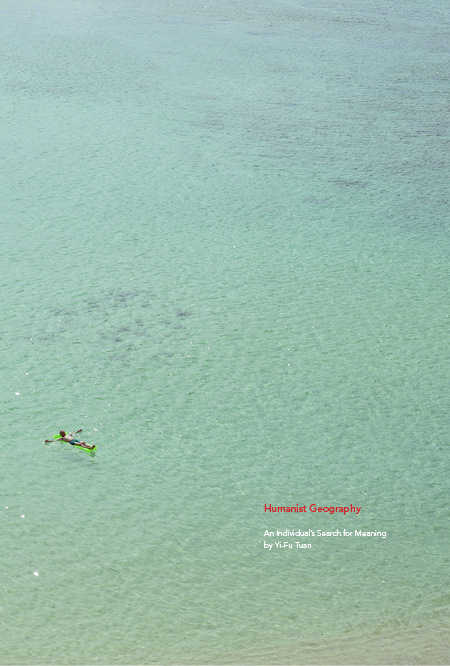 Humanist Geography: An Individual's Search for Meaning, his latest and last book, is a final testament of all that he has learned and encountered as a geographer. In returning to and reappraising his entire career, from his time as a student to his life's work as an esteemed writer and university professor, Tuan emphasizes how humanistic geography can offer a younger generation of teachers, students, and scholars a path toward self-discovery, personal fulfillment, and even enlightenment. He argues that in the creative study of geography and of place can be found the wonders of the human mind and imagination, especially as they are understood by the senses. This makes the book rather personal, but Tuan's intent is to show how wonderful life on our small planet can be, even as we must deal with nature's stringencies and our own deep flaws. And so his view of the future is hopeful, despite the life-long challenges that face us as individuals and societies. As for the individual, Tuan asks, "What are we humans to do?" "Is the individual the 'quintessence of dust' or the 'paragon of animals, noble in action but apprehensive like an angel'?" The answer, he says, depends on whether our view of the individual is purely secular or one that is grounded in religious faith. Tuan opts for the latter, a personal blending of Buddhist traditions and a Christian outlook. It is his path to finding meaningful answers as to why we humans are here on Earth. Implicit in the book are the questions, "What is your way of searching?" "What is your path to understanding your place in the world?" To Tuan, humanist geography and the study of place can lead the way. Cover photograph (detail): Untitled #222—04, from the On the Beach series by Richard Misrach. Courtesy of the Fraenkel Gallery, Pace-McGill Gallery, and Marc Selwyn Fine Arts.